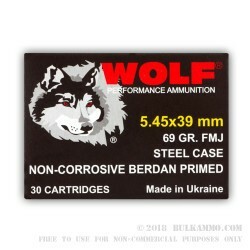 Stock up on some reliable Russian AK-74 food for the frugal shooter! 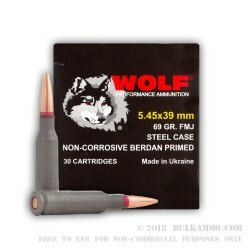 Russian-based Wolf, now headquartered in Placentia, California, is one of the world’s largest producers of steel cased ammunition. 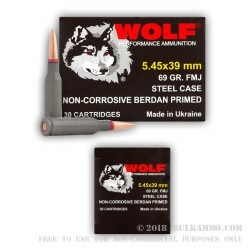 These Wolf WPA 5.45x39mm rounds are made in the Ukraine and are a perfect round for a day of plinking or target shooting at the range. 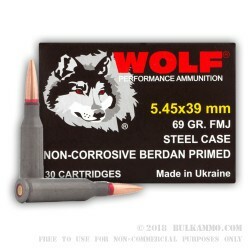 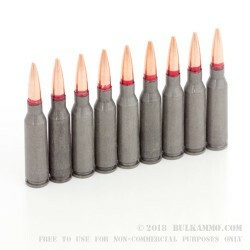 These Berdan primed, noncorrosive steel cased rounds are non-reloadable and come equipped with a 69-grain full metal jacket bimetal projectile. 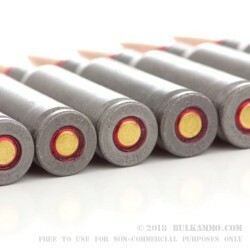 Each round also has a sealant around the case mouth and the primer, to prevent corrosion and make for better long-term storage. 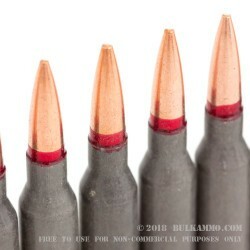 The 5.45x39mm cartridge was originally developed in the 70’s by Russia for the AK-74 rifle. 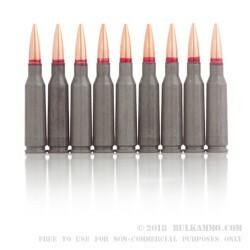 This rimless, bottlenecked cartridge was created to compete with the similar 5.56x45mm NATO round as a lighter, faster round, allowing soldiers to carry more ammunition into the battlefield. 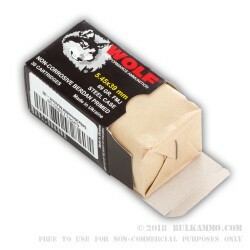 Each box of Wolf WPA 5.45x39mm comes with 30 rounds.